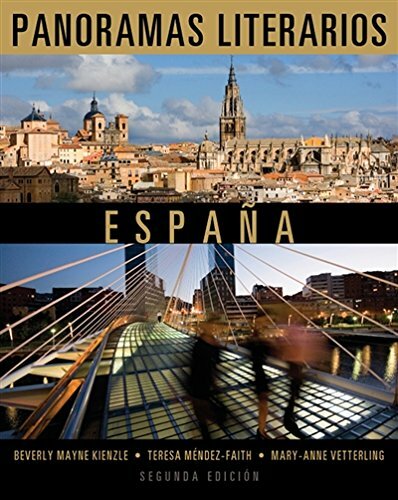 111183914X -Designed for upper-level courses, the second edition of PANORAMAS LITERARIOS: ESPAÑA introduces students to the study of Spanish literature through representative works by major literary figures from the Middle Ages to the present. This anthology places a strong emphasis on literature of the twentieth and twenty-first centuries and includes some of the most influential and active writers today. The carefully chosen selections exemplify the genres of narrative, drama, and poetry, as well as the most important literary currents of the period under study. This text is part of a two-volume anthology that can be used separately or in conjunction with its companion volume, PANORAMAS LITERARIOS: AMÉRICA HISPANA.